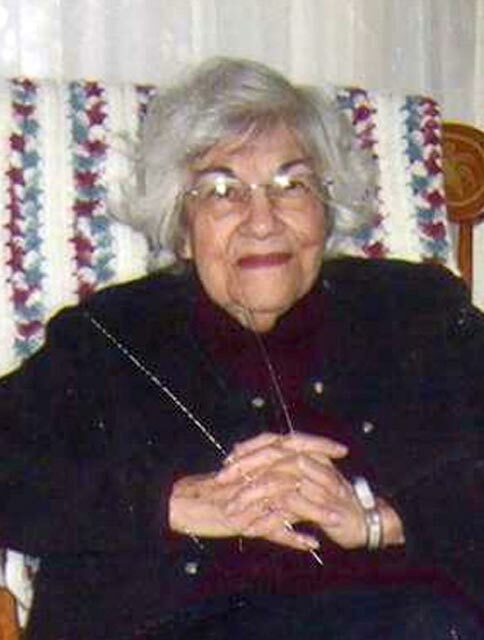 Anna Beverly Medeiros died on Saturday, March 24, at Windemere Nursing & Rehabilitation Center in Oak Bluffs. She was 92. An Edgartown resident for many years, she moved to Windemere at age 86. Anna was the last survivor of a family of 14 children born to Manual and Maria Campos from Vineyard Haven. Anna lived on Martha’s Vineyard her whole life, marrying Edward Medeiros in the 1940s and dedicating herself to her family. Anna was known for having a deep inner strength and a sense of conviction. That strength was the foundation from which her family was built upon. Her family always knew that if in need they only had to reach out and she would offer whatever she had in support. Anna is survived by her three children: her daughter, Shirley A. Donaroma of Edgartown and her two daughters, Pamela Viapiano and her husband, Nicola, of Holden, and Angela Donaroma and her husband, Daniel Khonsari, of Los Angeles, Calif.; her son, Edward Medeiros and his wife, Shirley, of Edgartown and their three children, Amy Custer and her husband, John, of Vineyard Haven, Thomas Medeiros and his wife, Christel, of Clemson, S.C., and Lindsay Medeiros of Edgartown; and her son, Anthony Medeiros and his wife, Patricia, of Foxboro, and his seven children, Mathew, Mark, Ann Marie, Amanda, Adam, Andrew and Mary Ellen; and also by 17 great-grandchildren. She was very much loved and will be greatly missed by all. We would like to thank all the staff at Windemere Nursing Home for all the years of help with Mom and Hospice for coming in at the end of her life to help make it as comfortable as possible. There will be a graveside service that will be held at 11 am on Saturday, June 2, 2012 at the New Westside Cemetery in Edgartown officiated by Rev. Michael Nagle. Donations can be made to Windemere Nursing and Rehabilitation Center, PO Box 1747, or Hospice of MV, PO Box 2549, both in Oak Bluffs, MA 02557. Arrangements are under the care of the Chapman, Cole and Gleason Funeral Home, Edgartown Road, Oak Bluffs. Please visit ccgfuneralhome.com for online guest book and information.